Kingston Bagpuize House is a beautiful 18th Century home situated in the heart of the namesake village of Kingston Bagpuize, just a few miles from Oxford. 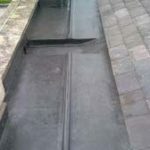 One of the most significant things about this property is its recent appearance in the TV show Downton Abbey, as its style fits the period nature of this show perfectly. 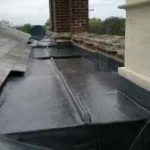 At Abbey Roofing we received an enquiry about work that needed to be carried out on the roof, and with historical buildings being our specialty we jumped at the chance of helping. 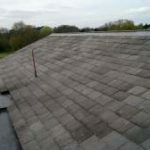 With the roofing project now complete we have decided to take a look back at the house, which is still being used and lived in today, and find out more about the property that we have helped to keep going. The house was originally bought by Edmund Fettiplace in 1670 and was thoroughly remodelled around the 1720s. Edmund’s daughter, Elizabeth, and son-in-law John Blandy took control of the house in 1728 and it remained in the family through inheritance until 1917 when the sixth John Blandy sold it. The house was finally bought by its present day owners in 1995, the Grant family. Despite the fact that it is still used as a family home, the estate is opened up to the public for around 30 days of the year to come and explore the grounds. The picturesque house and garden make this an ideal location to host weddings and private corporate functions and has a range of activities that can be undertaken including clay pigeon shooting, falconry, quad biking and horse riding. The exterior of the house has its influence in early Georgian style with red brick walls. The original entrance to the house was located down an avenue on the east side of the house, but in 1865 the gates were moved to the front of the church where they remain today. Kingston Bagpuize House is a beautiful location for filming and is currently getting set to be used in the present series of ITV flagship programme Downton Abbey. 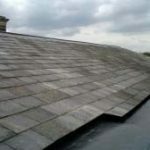 This isn’t the first time the house will have been used as a film set though as it also appeared in the British film Tortoise in Love (2012), which was funded by the local residents of Kingston Bagpuize and neighbouring area of Southmoor. 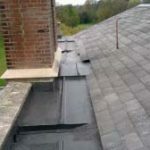 At Abbey Roofing we were contacted in early 2014 for help with a few repairs on the roof of the building. 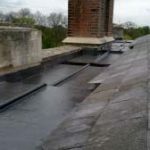 We were able to put in new lead work and re-slate the roof, as well as assist with extensive repairs to the wood pediments and associated timer repairs. We are hoping to return in the very near future to undertake further work, to continue with the upkeep of this beautiful historical building so that it can continue to be enjoyed as both a residential home and a wonderful day out for the public. 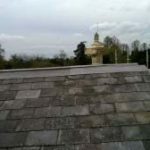 ‘I am absolutely delighted with the final result of the roof repairs to the higher central roof of Kingston Bagpuize house. 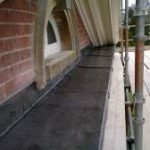 The quality of the workmanship of Abbey Roofing employees (for the new lead work and associated timber repairs, extensive repairs to the wood pediments ,re-slating) and for the masonry work is most impressive. 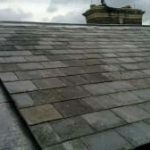 I will have no hesitation in recommending Abbey Roofing to others and I hope you also see my intention that work begins on the South lead vaulted roof this autumn as confirmation of my satisfaction in your firm’.